When you join the Prairie Legacy Society, you help guarantee the incredible wildlife reserve we’re building today will be cared for long into the future. The Prairie Legacy Society honors those demonstrating a remarkable commitment to American Prairie Reserve by naming the Reserve a beneficiary of their will, life insurance policy, or other legacy gift. Why Join the Prairie Legacy Society? Have an impact on the Reserve lasting beyond your lifetime. Make a substantial contribution, often of a larger amount than one is capable of providing through annual support alone. Assist American Prairie Reserve’s planning by providing anticipated future income. Receive a variety of potential tax benefits, depending on the nature of your gift. Inspire others to make extraordinary commitments to the Reserve’s growth and success. Most importantly, your legacy gift lays the groundwork for the Reserve’s future success, ensuring the vast wildlife reserve we are creating today thrives for generations to come. Meet some of the Prairie Legacy Society members and learn why they've chosen to include us in their estate plans. Can you provide some sample language to use in my bequest? I’ve included American Prairie Reserve in my estate plans – now what? We would love to welcome you as a member of the Prairie Legacy Society. 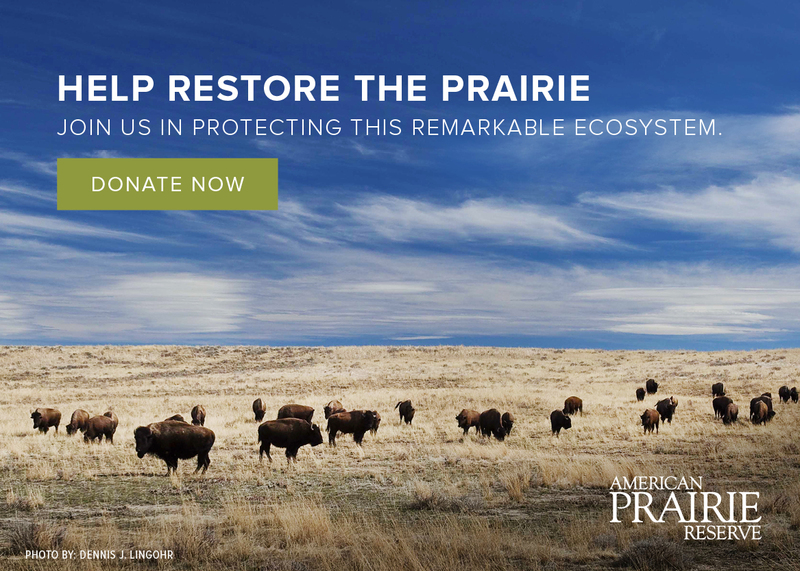 Even if you wish for your gift to remain anonymous, notifying us of your intent allows American Prairie Reserve to better plan for future income. To request a gift declaration form, and a Prairie Legacy Society members’ packet, please contact Crystal Beaty.